It was cool to put a face to the city of Chicago. I have extended family within the general Chicago area and within the city, so it was neat to reconnect with them. 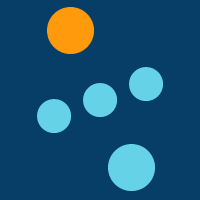 Chicago also has a handful of world renowned museums so I set to work prioritizing them. 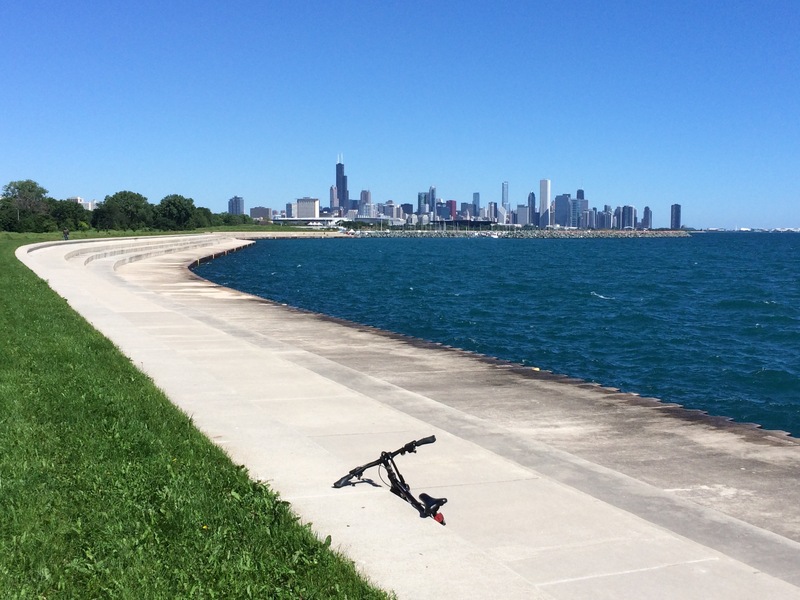 For Day 1 I biked south on the Lakefront Trail to the Museum of Science and Industry (site / wiki). 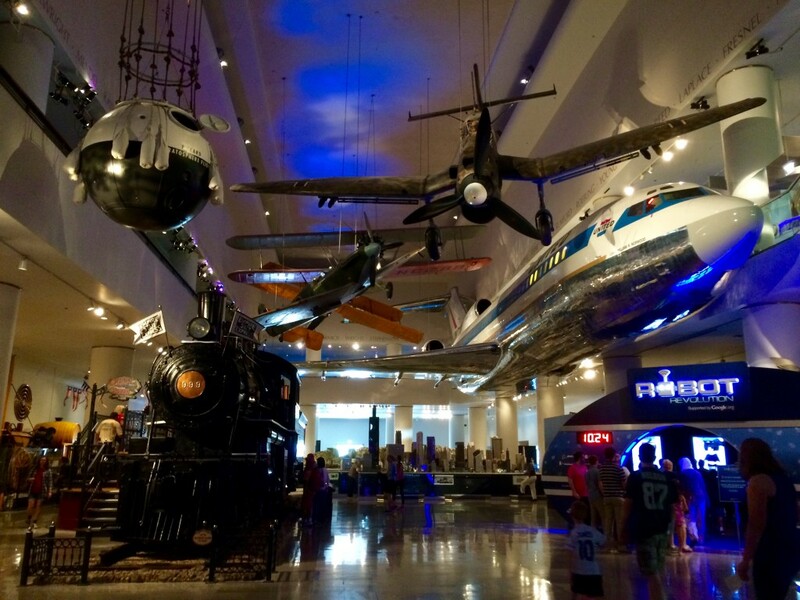 Transportation Exhibit, Museum of Science and Industry. On Day 2 I took a walk with my cousin, Kris, to the Alder Planetarium (site / wiki). I talked at length with one of the planetarium curators about the probe New Horizons (wiki), which began its journey towards Pluto ten years ago and will be making its nearest pass to the dwarf planet later this month (July 2015). From there I headed towards The Art Institute of Chicago (site). 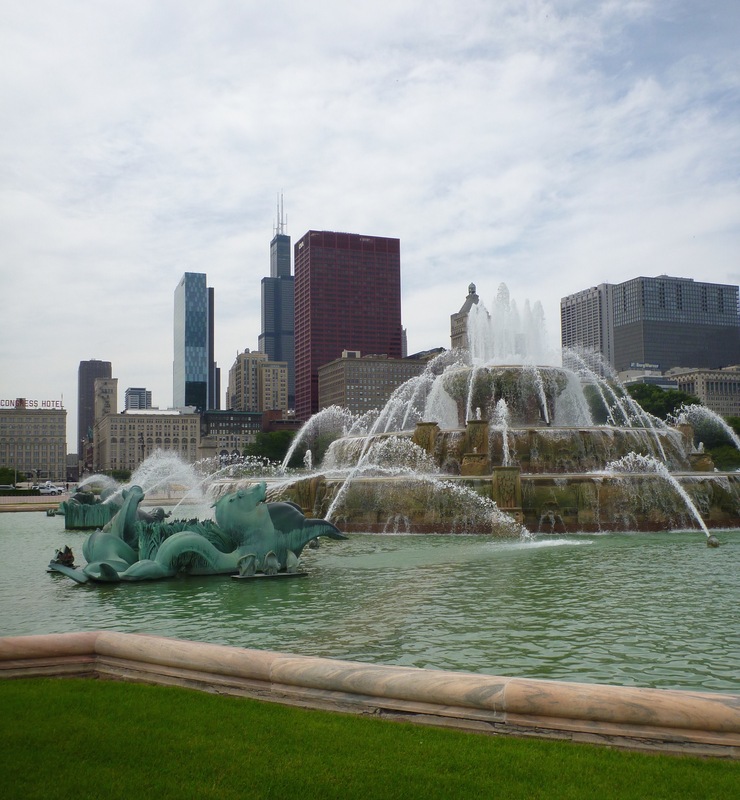 I stopped to snap a few pictures of Buckingham Fountain on the way. I spent most of my time in the impressionist wing of The Art Institute. 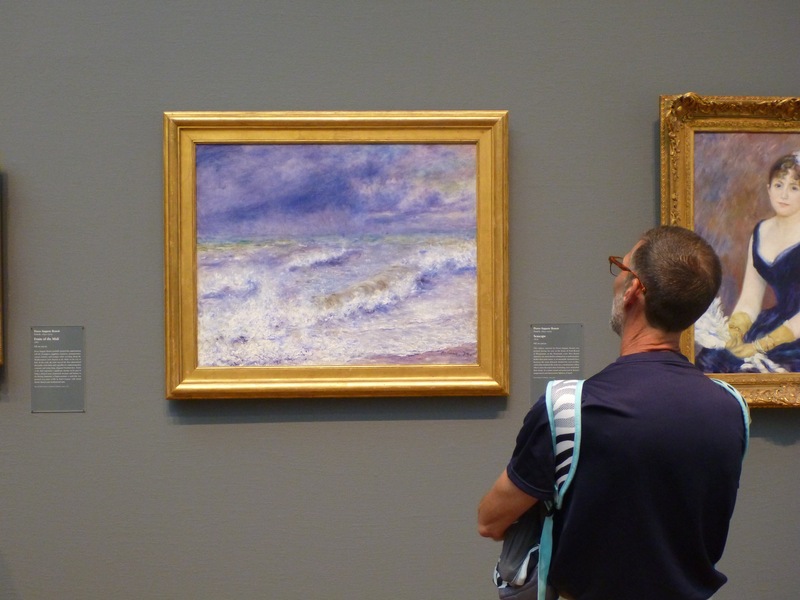 Seascape by Pierre-Auguste Renoir, Chicago Art Institute. I ended the day sailing with my other cousin, Jayne. Downtown Chicago is the skyline to the right. 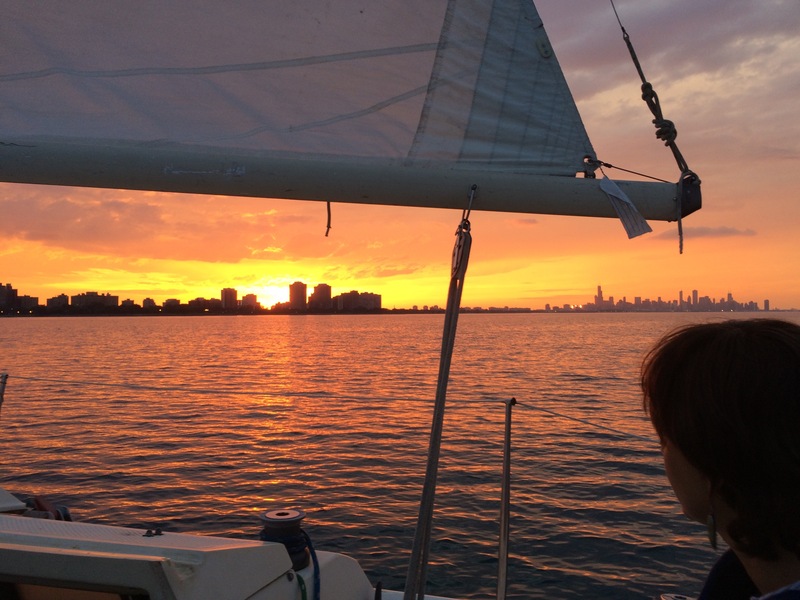 It was funny going straight from the Monet exhibit at the Art Institute to sailing during sunset. Monet and his peers were visionaries with their impressionist painting style. It was a calm evening, and there wasn’t much wind for us to wrestle. We motored out of harbor, hoisted our sail, and allowed our conversation to trail off while watching warm dabs of light appear and disappear on the water.